Aug. 13, 2009 - PRLog -- Goa, India - W.O.A International launches W.O.A Radio, a one hour weekly syndicated radio show that will be broadcast across various radio stations, podcast channels, satellite stations and internet radio stations. The radio show will feature latest releases by W.O.A Records, one on one interviews with artists and news relating to the elite W.O.A Roster of artists and latest Independent music news and updates from the W.O.A International Headquarters in Goa. “W.O.A Radio has been in the works for a while now and was planned to be launched a few years ago but was put on hold due to the unprecedented expansion of W.O.A International and its various divisions. I’m happy to see it finally kick off” says Oliver Sean, W.O.A President and Founder. "Independents signed to the W.O.A roster have a fantastic infrastructure with W.O.A Internationals existing divisions already and now with the addition of W.O.A Radio it just adds to this support system they have and reiterates W.O.A International's mission to be the No.1 Independent Music Company that serious Independent musicians across the world can count on"
The W.O.A Radio show can be heard on various stations across the world that syndicate the show as well as via podcasts that are available easily for all Independent music lovers at the itunes store for free and via the W.O.A records official website. W.O.A International have also confirmed that all previews and first broadcasts of their releases will be done on the W.O.A Radio Show which makes it easy for fans of artists signed to W.O.A International to access and get all the information first hand from the W.O.A Radio Show. The show promises to be highly interactive where fans and listeners can chat with artists who appear on the show and learn more about their favorite bands and singers. The official podcast is live on all itunes stores at http://itunes.apple.com/WebObjects/MZStore.woa/wa/viewPod... also available to all visitors of the official W.O.A International website at http://www.woarecords.com where listeners can also download the stream. 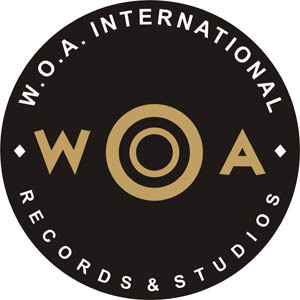 Formed in 1998 by World Music star Oliver Sean, W.O.A International is a global entertainment company that continues to lead the way when it comes to how music should be promoted. They are pioneering international music in India and Asia and are now synonymous with the region. Their enviable reputation at opening up new possibilities means that they are the go-to company for independent artists wishing a truly international presence.